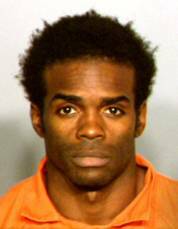 As reported the other day, the ex-boyfriend Jason “Blu’ Griffith was arrested in the death of previously missing 31 year old Las Vegas dancer Deborah Flores-Naraez. However, at the time of the arrest, it was reported that the body of Deborah Flores-Naraez had been recovered in downtown Las Vegas from a tip but they did not go into detail. The arrest report details how police were tipped to a vacant home in downtown Las Vegas where the dancer’s dismembered body was found in cement in two plastic tubs. Now we learn the grizzly details of the heinous murder of Deborah Flores-Naraez. Police have reported that the body of missing Deborah Flores-Naraez was found dismembered in two tubs filled with cement in a house downtown Las Vegas. Oh dear God. The details of this case are beyond words. According to the police report, Griffith used a used a handsaw to cut of Flores-Narvaez’s legs. Ex-boyfriend, Jason “Blu” Griffith has been arrested for the murder of 31 year old former NFL Redskin’s cheerleader and Las Vegas dancer Debbie Flores-Narvaez. The 32 year old ex-boyfriend was arrested on the strip in Vegas on Saturday night. Griffith remains in custody in the Clark County Detention Center, without bail. According to reports, Debbie Flores-Narvaez’s body was recovered in downtown Las Vegas, although police are mum on where and when the discovery was made. According to Police Lt. Lew Roberts, Metro received a tip Friday morning that led to the discovery of the body downtown, but he refused to identify the exact location or condition of the body. The former boyfriend of a missing Las Vegas Strip burlesque dancer has been arrested on suspicion of murder. Ex-boyfriend, Jason “Blu” Griffith is scheduled to be in court Tuesday morning for an arraignment on the domestic violence charges. According to court filings (see below), Jason “Blu” Griffith, the ex-boyfriend of missing 31 year old Las Vegas dancer Deborah “Debbie” Flores-Narvaez has been arrested in the past for domestic violence against the missing dancer. Obviously never a good sign when an ex has a past history of violence and the victim of the domestic violence is missing. According to preliminary reports, Debbie” Flores-Narvaez was last seen leaving her home to visit her ex-boyfriend, Jason “Blu” Griffith. VIDEO – presently police are stating that the ex is not a suspect or person of interest in the missing persons case, even though he admitted being with her before her disappearance. According to a police report, Jason “Blu” Griffith, was arrested for beating Deborah “Debbie” Flores-Narvaez up in October 2010. At the time of the violence, Griffith and Flores-Narvaez were dating. Arrest report (pdf) can be read HERE. Blu Griffith’s MySpace. More HERE of rapper wannbe. “Dig a Hole, eh? According to the police report, Griffith allegedly stole Flores-Narvaez’s iPhone during a dispute. She chased after him and the two started arguing. Griffith then threw her phone. When Flores-Narvaez went to retrieve it, he ran toward her, pushed her down, pulled her hair and kicked her. Police say Debbie had bruises on both legs and found a chunk of her hair. Griffith was arrested for battery/domestic violence and coercion. At the time of the report, Flores-Narvaez told police she had been dating Griffith for a year and was pregnant with his child. She told police that while she was in her car following a visit with an ex-girlfriend of Griffith’s, he had approached her, opened her car door, taken her iPhone and elbowed her in the left chin. The report said Flores-Narvaez had no visible facial injuries. Prior to Debbie going missing she had sent her mom the following text message. Take it for what it is worth. 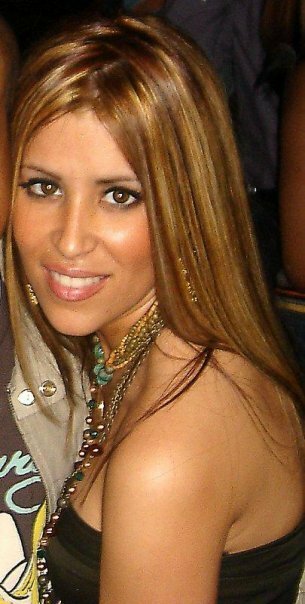 31 year old Debora “Debbie” Flores Narvaez, a cast member of Luxor’s “Fantasy” show, has been missing ever since she left her Las Vegas home at approximately 7 pm on December 12, 2010. Police continue to search for the missing dancer who was last seen leaving her home a week ago. Investigators found the missing woman’s car, a maroon 1997 four-door Chevrolet Prism, parked in the city’s northeast section on Thursday. According to reports, the car’s Maryland license plates had been removed. Flores Narvaez, who was born in Puerto Rico and lived with her family in Baltimore, Md., relocated to Las Vegas two years ago to pursue a dancing career. An accomplished performer, Flores Narvaez worked as an “ambassador” for the Washington Redskins Cheerleaders in 2007 and 2008, according to her MySpace page, and auditioned for the hit series, “So You Think You Can Dance.” Her profile also says that she holds advanced degrees in law and business. Debbie” Flores-Narvaez was last seen leaving her home to visit her ex-boyfriend, Jason “Blu” Griffith. This is never a good sign. Narvaez was reported missing two days later by one of her roommates after she failed to show up for rehearsal. Deon Ridley, a friend who’s performing in Reno, NV, says he’s worried because this is very out of character for Flores-Narvaez. Ridley says he has danced with Flores-Narvaez for nearly three years and describes her as being well-known for her promptness. Although he hopes she’s not in any serious danger, Ridley acknowledges that her profession can be a magnet for trouble. “Being in the industry that she’s in, being in a burlesque show, it’s very risqué for any female in Las Vegas. Her safety is very important,” added Ridley. Ridley says the Puerto Rican native has expressed concerns over obsessed fans in the past. He says Flores-Narvaez has also had her share of relationship problems.